Classic style, in a full-face helmet, and premium features. Until the original Bell Bullitt Helmet came out, that combination was unheard of. 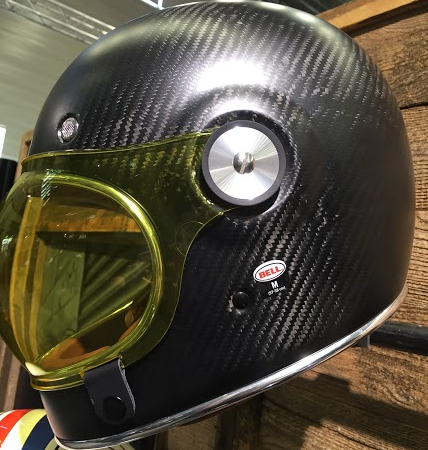 Thanks to the imagination and design skills of Chad Hodge, the Bullitt changed all of that and now stands as the preeminent choice among vintage motorcyclists in search of a full-face helmet. 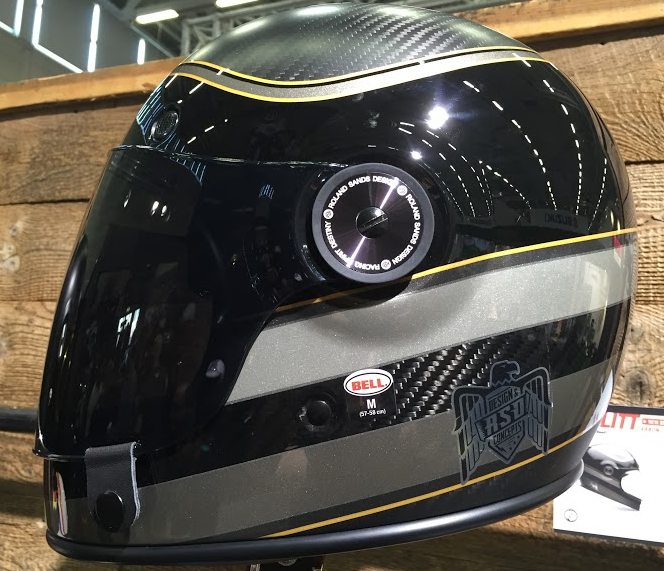 New for 2015, Bell will be introducing the full carbon treatment with the Bell Bullitt Carbon Helmet. This will be an upgrade over the hugely popular original and bring an even higher level of overall quality to the table. To make the lid even cooler than it already is, the new set up will also come with a Clear bubble shield, as well as a flat Dark Smoke option in the box! As the partnership between Roland Sands and Bell continues to develop even further, the Bell Bullitt Carbon RSD Bagger option will offer all of the great features and construction of the standard Bullitt Carbon, yet with that distinctly Roland Sands style. With Gold/Grey/Black striping flowing over the Carbon shell, a new level of distinctly vintage look that RSD has become so well known for. 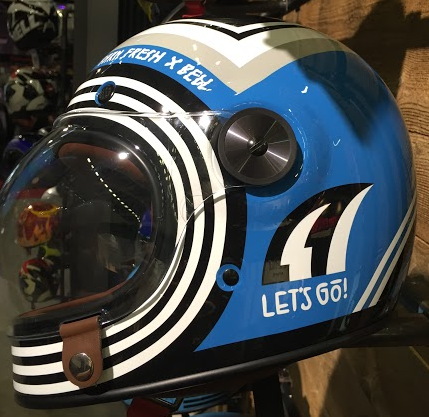 Aside from the Carbon options, the Bell Bullitt Barn Fresh Helmet comes with the regular composite shell construction, yet with a totally new graphic that really stands out. Bathed in Blue and with alternating Black/White stripes around the lid, this is a helmet that really exemplifies contrast that makes it anything but forgettable. Just because you have a classic style does not mean that you have to forego comfort or safety. The Bell Bullitt stands as a testament to this, and the newest line of Carbon shells and graphics take the line to the next level.